Halloween is undoubtedly one of the truly exciting celebrations of the year. 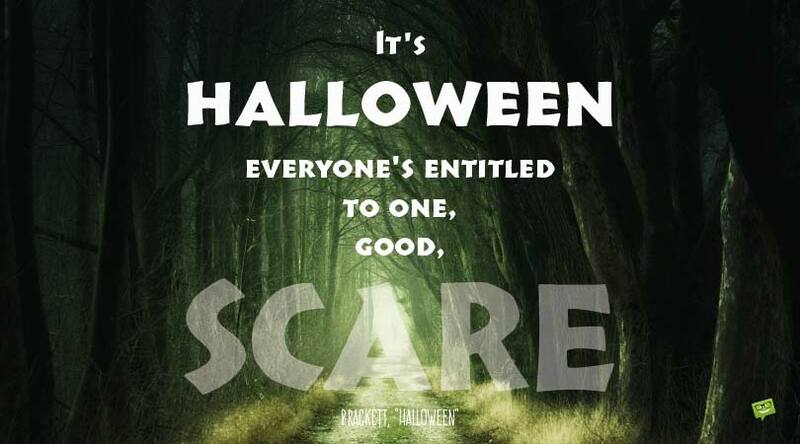 And in honor of this important annual event, we have prepared a bunch of cool Halloween quotes for you. 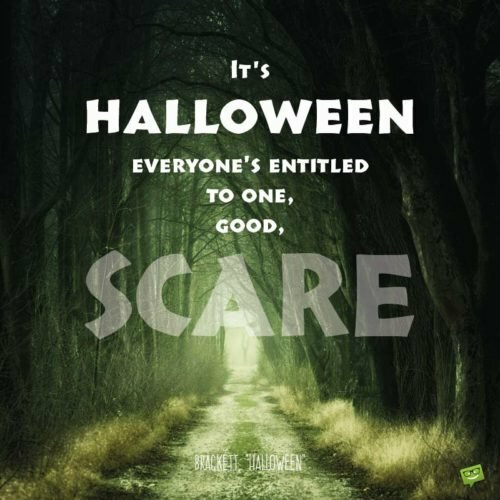 The first section of this post consists of famous Halloween statements by famous personalities, whereas the second section is made up of original and never-before-published quotes. Feast your eyes on both sections and feel free to use the quotes in any manner you want as you observe this year’s All Hallows’ Eve. 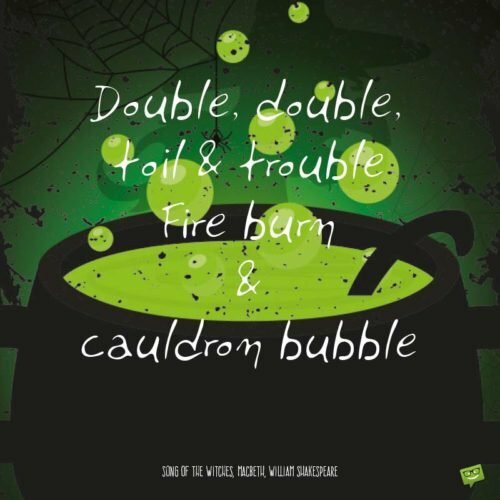 Double, double, toil & trouble, Fire burn & cauldron bubble. – Song of the Witches, Macbeth, William Shakespeare. The cool thing about Halloween is the fact that it knows no religious boundaries. Regardless of your religious affiliation, you can celebrate it to the fullest. Halloween, you are the love of my life! I love the celebration called Halloween because it gives me the unique opportunity of being whoever I want to be. The excitement that accompanith Halloween is immeasurable. It brings a magic no other holiday can ever bring. The adrenaline rush I get from Halloween is of immeasurable value. There are 365 days in the average year. Out of these 365 days, the only day you are blessed with a free pass to assume whatever persona your heart desires is on Halloween Day. True excitement only occurs once a year in the form of Halloween. Halloween is so fun, if you don’t like it, I humbly suggest you jump in a lake! You haven’t had fun until you have experienced the magic of Halloween. Halloween is a fantastic mixture of chills, companionship, fun and thrills. There’s nothing on earth more heavenly than that! 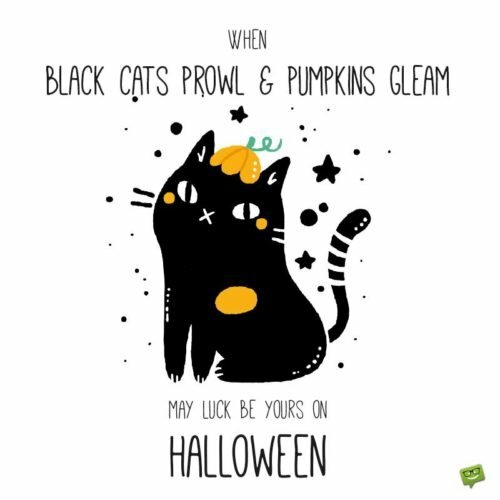 You can take away all the celebrations of the year, but please don’t touch my Halloween! Without All Hallows’ Eve, this universe would certainly lose one of the most important things that make it an exciting place. I fell in love with her from the very first moment I experienced her. Viva Halloween! Halloween, what an incredible treasure of excitement you are to mankind! If Halloween isn’t celebrated in heaven, then I don’t want to be there when I close my eyes for the very last time and take my final breath. No matter how down I get, the magic of Halloween always finds a way of lifting me up. Fear tastes sweetest when consumed on Halloween. If you think Halloween isn’t fun, your definition of fun is different from mine! If Halloween doesn’t scream excitement, I don’t know what does. Only Halloween can make cold streets filled with gruesome ghouls and terrifying vampires beautiful and exciting. Life is no life without you, my darling Halloween. You send cold shivers down my spine but I adore you immensely. Forever that person who strives to enjoy the joy of fear that cometh with Halloween. Don’t get me wrong, other celebrations rock but my soul enjoys Halloween the most! Walking down a dark alley one Halloween night, I came face to face with a bunch of terrifying monsters that scared the living daylights out of me. And although I sh*t my pants out of fear, I loved it! Such is the strange beauty of Halloween! The older I get, the more I fall in love with All Hallows’ Eve. If I were to die today, one of the things I’d miss most on earth would be Halloween. I have been blessed with an amazing friend. Her name is Hallowe’en. The incredible magic of Halloween is one of the most beautiful things these two eyes of mine have ever beheld. If Halloween came every day, planet Earth would have been such a wonderful place! 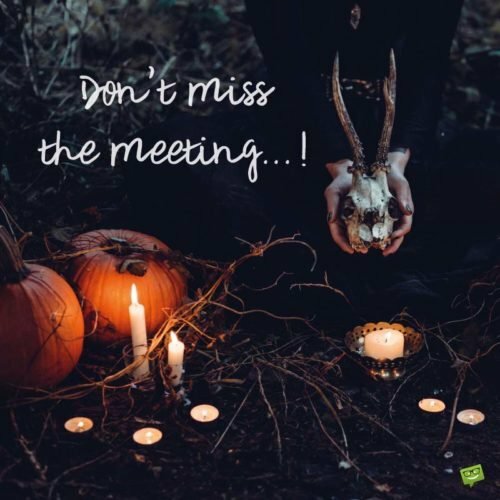 What would life be like without Halloween? Boring! I will choose Halloween over any other holiday every single time. Enjoy Halloween with all thy might, for she comes only once a year. In a universe where true excitement is hard to find, it’s a blessing to experience Halloween. One thing is for sure, Halloween will never ever stop being exciting. It’s unfortunate that too many people in this world would sadly depart this life without ever enjoying Halloween even just for a second. That’s awfully sad!